Hi there! Thanks for visiting. We’d LOVE for you to hang around! 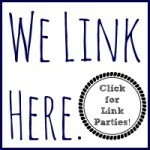 Like us on facebook, subscribe by email, or follow us on pinterest to be sure you don’t miss an update! You’ve probably heard a lot about activities that help with fine motor skills. But what’s the big deal? Why should our little ones be working those little fingers and hands? My friend Melissa (a preschool teacher) tells me it helps kids get ready for writing. There’s a good deal of strength and coordination required to hold a pencil correctly and draw/color/scribble. My girls have a few years before they’ll actually be writing, but of course I want them to be ready when the time comes! So why not “work” on those fine motor skills while we play!? Activities that encourages babies to open and shut their hands or pick things up with their fingers (the pincer grasp) are good for fine motor skill development. 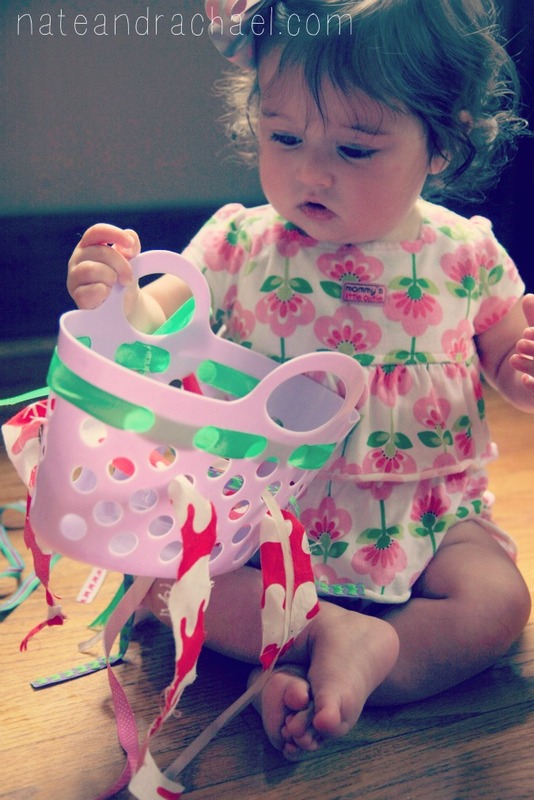 In our house, we have tons of random pieces of ribbon and a few little shower totes. For this playtime activity, I decided to combine the two. I simply laced the ribbons through the holes in the tote and then let her pick and choose which ones to pull out and (of course) chew. She was drawn to the bright colors and loved shaking the tote like a rattle. This also appropriately challenged her developing hand-eye coordination. Toddlers are much more coordinated and strong. (Obviously.) So my older daughter needed the activity to be a bit more elaborate. I used those same pieces of ribbon and showed her how we could weave the pieces in and out of a dish rack. A variety of ribbons will also give you the chance to discuss colors and textures with your curious tot. My friend Melissa (the teacher) is the one who first suggested we try lacing with the dish rack. In her preschool class, she makes it more age-appropriate for her students by encouraging them to make patterns with the ribbons as they lace. 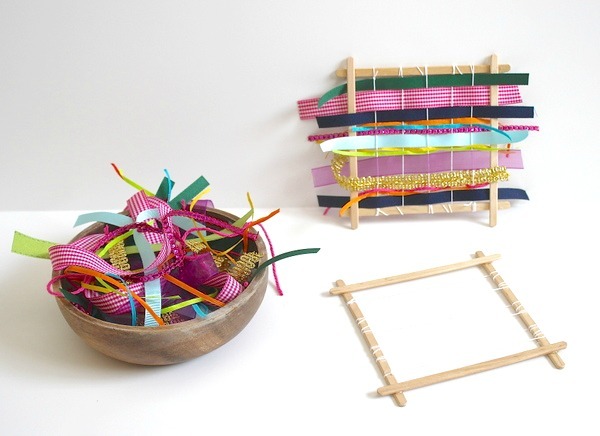 Another way to challenge older kids is to get them weaving on a homemade loom. 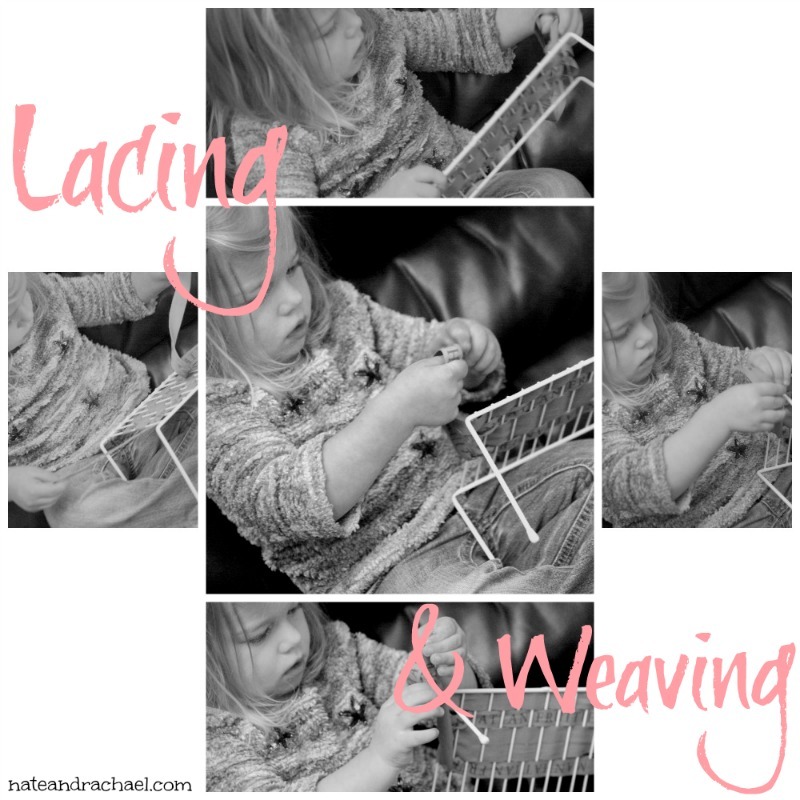 Intimidated by thought of making your own loom? Don’t be! I assure you that it’s brilliantly simple. Check out this post from my friend at Buggy and Buddy for the complete tutorial. Homemade loom from Buggy and Buddy. These ideas are all totally doable, right? 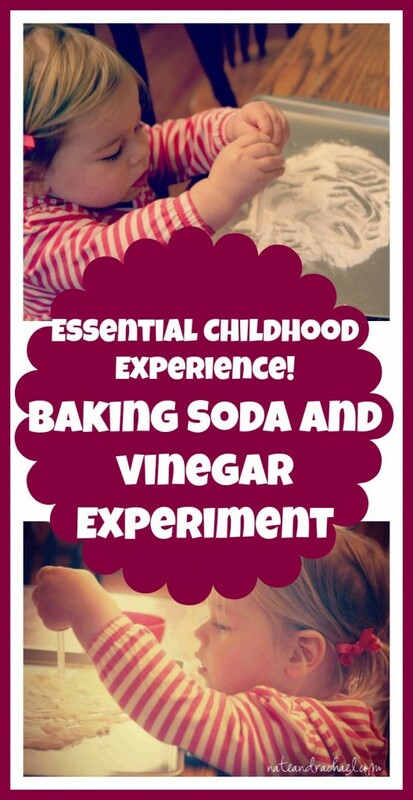 And a fun challenge for little ones! Want more ideas? Click on the pictures for other fun ways to play. 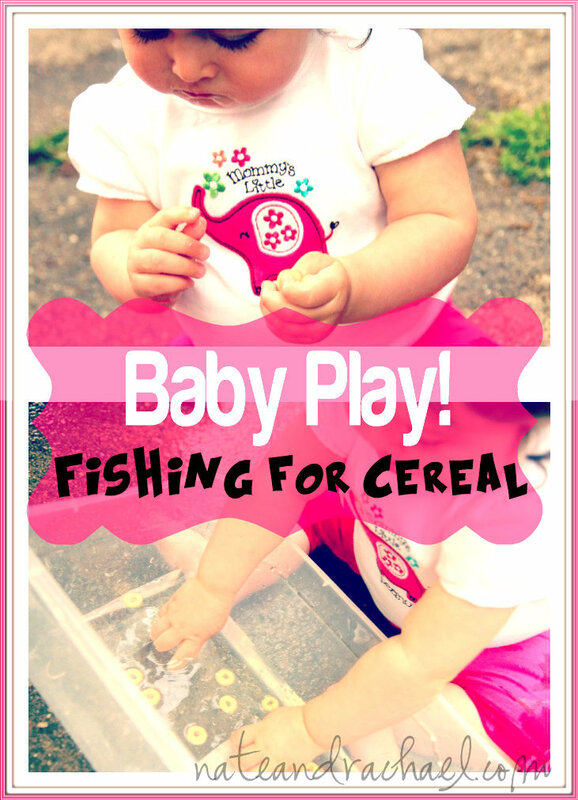 For babies: this fishing activity is a great snack, exercise, and sensory experience all rolled into one. For toddlers and preschoolers: this simple experiment fascinates my daughter. 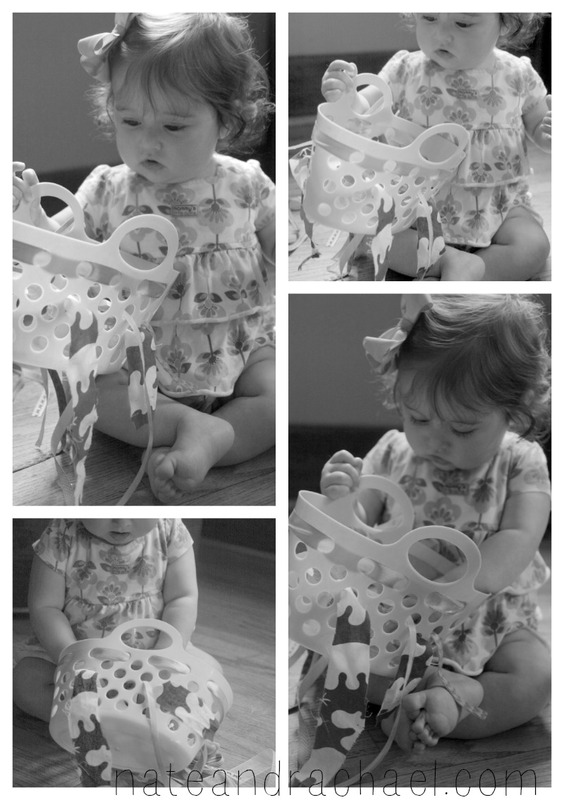 She could seriously play with it for hours, and it definitely works the muscles in her little fingers and hands! And the best part? It uses only two common household ingredients. And because kids and parents love having options, check out this post (from Fun-a-Day) and this post (from Hands On As We Grow) for even more playful activities to work those little muscles. 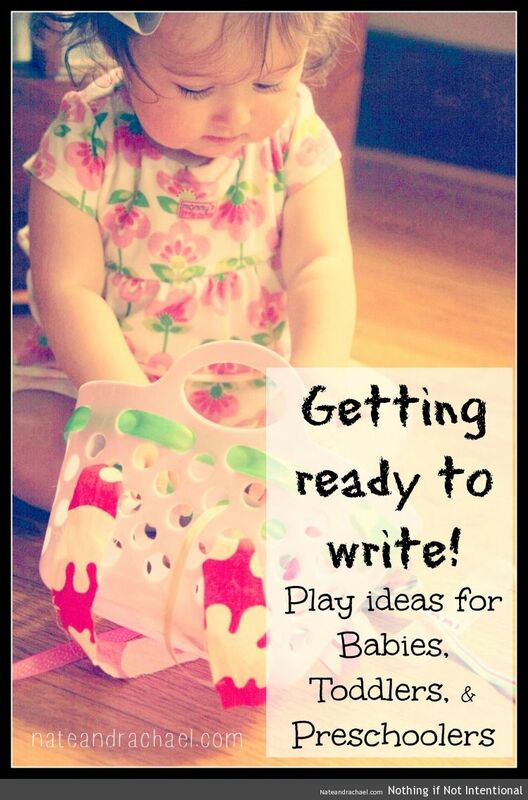 Your kiddo will be writing before you know it! For reference: our baby is 10 months and our toddler is 2 1/2 years. As always, please supervise your child during these activities! Great ideas! It’s so important to know *why* we’re doing all of these things with our kids. So true — sometimes knowing why we need to do these things with the kiddos! 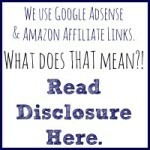 And thank you for including our post! Great post, Rachael! I think this will help those parents who may be intimidated by the phrase “fine motor activities” to realise that it doesn’t have to be complicated and that it can be FUN.